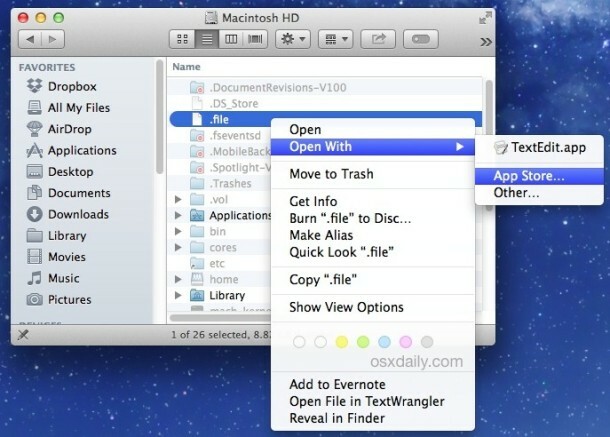 If you’ve ever come across a file that you can’t open on your Mac, or perhaps that doesn’t open as you may expect it to in a particular OS X app, maybe rendering poorly or like a bunch of gibberish after forcing it, this quick trick can help find a more appropriate application to open a given file type. This even works to help identify file types that you aren’t sure of, making it a multi-use tip that is great to know for all Mac users. Obviously some file types are going to reveal many more options to open a particular document with than others, but either way you should be able to find some app that can open the file in question. Picking a new app out of the blue can be a challenge, so it’s often best to go on user reviews and to verify that a given app does indeed work the way you need it to for a file type. You may notice this actually just opens an App Store search with some specific parameters to it, usually specifying the file type or file extension type (whether the file extension is visible in the Finder or not). For example, choosing App Store on a PDF file (which will open just fine in Preview or Adobe Acrobat) searches the app store with the following parameter: “uti:com.adobe.pdf” and results in a huge amount of apps that can interact with PDF files, though not all of them may be what you want to accomplish. This works in all versions of OS X that have the Mac App Store. 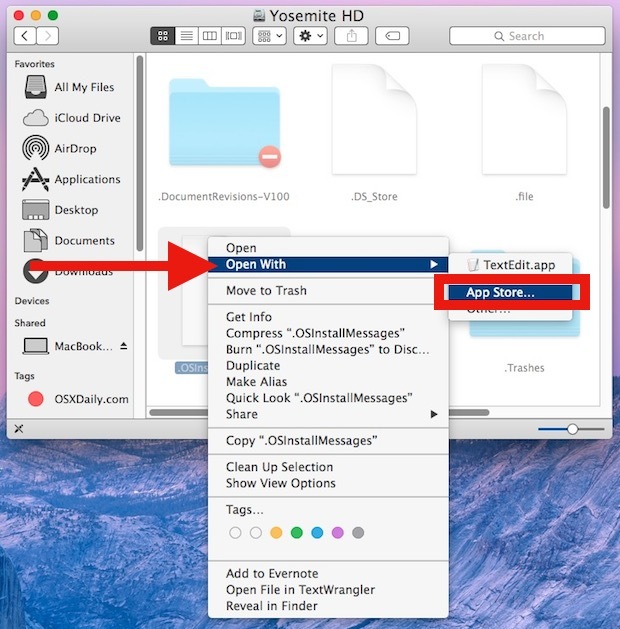 If you’re satisfied with the newly obtained apps ability to read and interact with that file type, you can easily change the default application to open that file type, or any others throughout OS X. By the way, if you access the Open With menu and find a bunch of duplicate entries, you can easily clear those out with this trick too. Wow! What a great feature. Thanks for sharing.